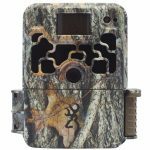 There are three reasons to consider camouflaging your trail camera. The first is to get the best possible pictures with your camera. You want the animals, or game that your scouting to not be aware of the camera. This can because you are looking to get photos of them in their natural environment. Or as a hunter you don’t want to spook the animal with the camera and possibly chase them away from the area that you are scouting. The two other reasons are to keep your cameras away from the eyes and possibly out of the hands of other people. If you are scouting on public lands, you’ll want to not tempt other hunters or a possible thieves from taking your camera, and while there are ways to secure your camera, the best way to keep someone from taking a camera is if they don’t know the trail camera is even there. The third reason for camouflaging your trail camera is if you are using it from security or surveillance. You don’t want the camera to be easily visible to would be trespassers or thieves. 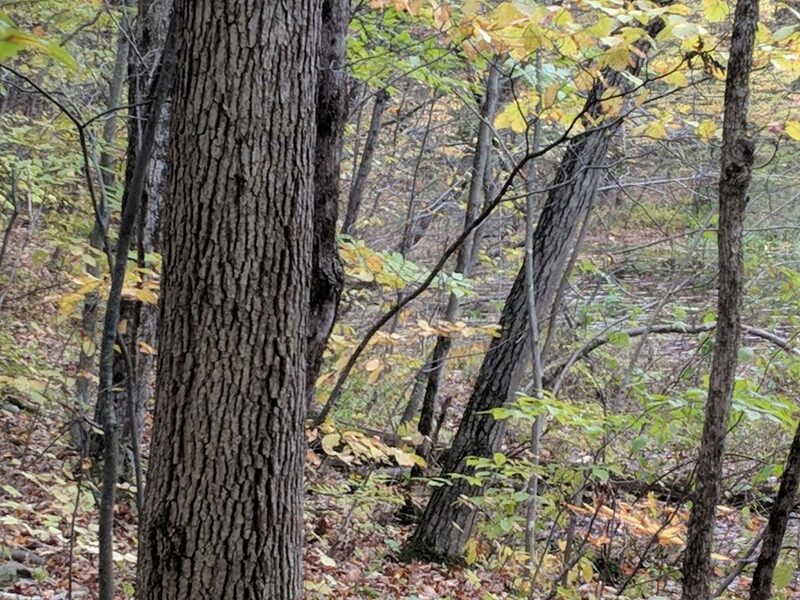 In this short article we are going to go over some tips and tricks you can use to help hide your trail camera from the eyes of passing by animals or humans. Have you ever noticed that a lot of the instruction manuals that come with trail cameras instruct you to mount a trail camera at or below eye level? This might not be the best advice if you are looking to conceal your camera from animals and other people. By placing the camera higher up and angled down you serve as a quick and easy way of concealing your camera. Just putting your camera up higher takes it out of the line of sight, and this alone can keep it from being noticed. You can also get the benefit of getting to scout a wider range from the extra height. Raising your camera higher off the ground can have a few drawbacks. While it’s not as easy for a would be thief to see or get access to your camera, it will could also be a bit more difficult for you to get access to your camera. Bringing a small ladder with you to check on your camera is one option. Another good idea is to create a ladder, or steps up the tree with some pieces of wood, nails or screws and a some strategically placed holes in a tree. You can put the steps into the tree when you need to get access, and then take the steps back out when you leave so that if someone else finds the camera they will have to come up with their own way of getting to it. Placing the trail camera off of the beaten path, so to speak, can also keep it from being noticed. Placing a camera right on a trail or in a feeding area can make it possibly a foreign an obtrusive element in the animals environment. The camera will also be more likely to be seen by a person if it’s close to where they can easily pass by. Instead of putting a camera at the recommended 10 or 15 feet from where you are looking to film, try moving the camera back to around 25 feet. Besides making the camera less visible, you also will reduce the chances of having whited out night images when the target area is further away from the camera mount. Are you using an older Trail Camera? If you are happy with the results than definitely keep using it, but if you are finding that animals are being spooked by your camera, or it is causing areas your trying to film to become unpopular with animals then you might consider giving a newer model trail camera a try. 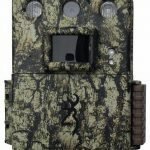 Trail cameras have greatly improved in the last few years in their functionality, and some of these new functions have a huge benefit in camouflaging your camera. Sometimes smaller can be better. Newer cameras are generally smaller than the old big boxey trail cameras. Simply, a smaller camera won’t stand out as much and thus it will be more difficult for someone passing by to see. The days of using white LED flashes are long gone for trail cameras. Yeah, you can still find some models that use this type of flash, but there are so many options for low and no glow flashes that there is no reason to still be using a camera that will alert animals and people to the camera when the flash goes off. If you are really looking for concealment use a trail camera equipped with a Black LED flash. The flash will be invisible to people and most animals won’t be able to see the dark light either. For extra camouflage, also make sure that your PIR (the motion sensor) doesn’t fire off with a small red LED when it’s triggered. These small lights are very difficult to see, but it’s one more thing you have control over that can keep your trail camera from being noticed. 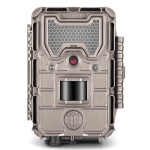 Hiding your trail camera in something that blends in with the environment is a great way to conceal your camera. 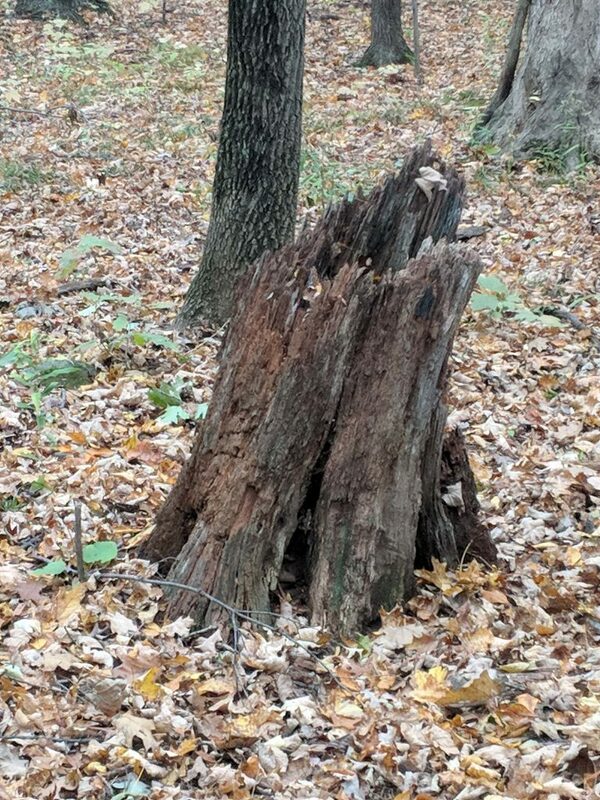 One option is to find something like a rotting tree stump that you can place your camera inside of. This will of course depend on what is available in the area you are looking to scout, but taking a look around the area could offer up a number of interesting ways for you to hide your camera inside natural objects. Another option is to do like military snipers do, and expertly blend your camera into the surrounding environment. In the next section we will talk about traditional camouflaging more, but for now think about ways that you can create something that blends into the surrounding area. Fake rocks are an excellent choice. 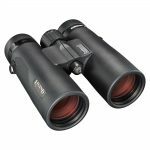 These can be purchased fairly inexpensively, and while they might not pass scrutiny up close, placing them strategically with a clear view of a trail or feeding area, but still off the beaten path will keep your camera from being noticed. Birdhouses are another great option. Using a birdhouse basically as a security box for your camera should keep anyone from noticing your attention, especially if birdhouses are something that are normally a part of the surrounding area. You can try to find an already existing and unused birdhouse for this purpose, or buy or build your own. We like the idea of using an old birdhouse that you might have put up a few years ago and is now not being used for this purpose. The weather beaten look will help the birdhouse to blend into the surrounding area, and won’t look like something that has been recently been placed there and maybe draw attention. Camouflaging is blending yourself or something in to the surrounding environment. Making the camera itself not stand out is what we are trying to achieve in any of these tips, but now we will look at some ways to alter the appearance of your trail camera or security box to fit in better. Blending in with the surrounding area is achieved by using patterns that naturally occur in nature. One of the principles in the art of natural camouflage is that ‘straight’ lines don’t generally appear in nature. Something like the rectangular shell or security box of a trail camera with it’s straight lines, even when the colors blend give off at least some sense that something unnatural is present. One way around this is to look into cameras like Wildgame Innovations Crush Trail Camera that use unorthodox shapes that have a more natural appearance. But even if you don’t choose to use a camera like that, you can still do things to hide the boxiness of the camera. 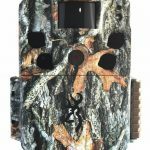 Looking at most trail cameras that come in a tree camouflage straight on they blend fairly well into their surroundings. The problem is looking at them from the side, where they protrude in an unnatural way. To fix this you can try to mount them in the nooks of branches where they will blend in better. Using this method and the recommendation to place your camera higher up than normal can be an excellent idea. Another way to eliminate the box look is to hide the sides of the camera with vines or sticks set up in a way that looks natural. There should be plenty of options for you to do this, the key is to make it look natural, and not like someone has left some sticks leaning up against a tree. If you aren’t satisfied with the camo of the trail camera you can of course paint it yourself. It might be a bit of a challenge at first to do this, but with some practice it becomes easier. Another interesting option we came across, but haven’t tried yet was to get some wax paper and attach silicon to it. Then place silicon side of the paper onto the side of a tree and remove it once the silicon has set. You can then use a hot glue gun to attach the wax paper, which will have the bark adhered from the silicon on to your camera. As a word of caution about painting or attaching bark to your camera, this could constitute ‘modifying’ the trail camera, and could void your warranty with the manufacturer. For that reason we put this option towards the end of our suggestions. Check with your trail camera’s manufacturer if you have a concern about this before breaking out the paints and hot glue gun. Most likely a would be thief isn’t going to be able to find your camera with a scent you leave behind, but if you are trying to conceal the camera from animals it could be a good idea to use a spray to eliminate your scent. This will also help in not making the area you are scouting be ‘tainted’ as much from the presence of a human–since one of the things we try to accomplish with using a trail camera is to learn more about the animals in their natural environment. Once you have chosen a spot you wish to scout leave the camera mounted there for awhile. Animals are more likely to accept something as a natural part of the area if they are used to it being there. To accomplish this it might be necessary to figure out awhile in advance where you wish to place your cameras before the season you looking to get the results from. By pre-planning and setting up your cameras early the camera will then be a part of the surroundings, and you might get much better results. Do you hate the idea that you would even have to possibly use this suggestion? We might like to believe that people are all good and honest but unfortunately that isn’t always the case. One way to trap a dishonest person who would steal your camera or SD card is to set up a decoy camera that is in relatively plain sight. Then use a concealed trail camera aimed at the decoy to get pictures of anyone who tries to steal the decoy. This can get a little expensive, since you’ll need a dummy camera, which we would suggest as a very low-end or even used older model, then a camera to keep an eye on the dummy camera, and finally any trail cameras you would need to cover the trails or feeding plots. But, if theft is an issue you have to deal with then this could be a small price to pay to get solve your problem. To get the best results you want your camera to blend into your environment. Ideally, your trail camera will see and capture everything while remaining invisible to animals and other people. 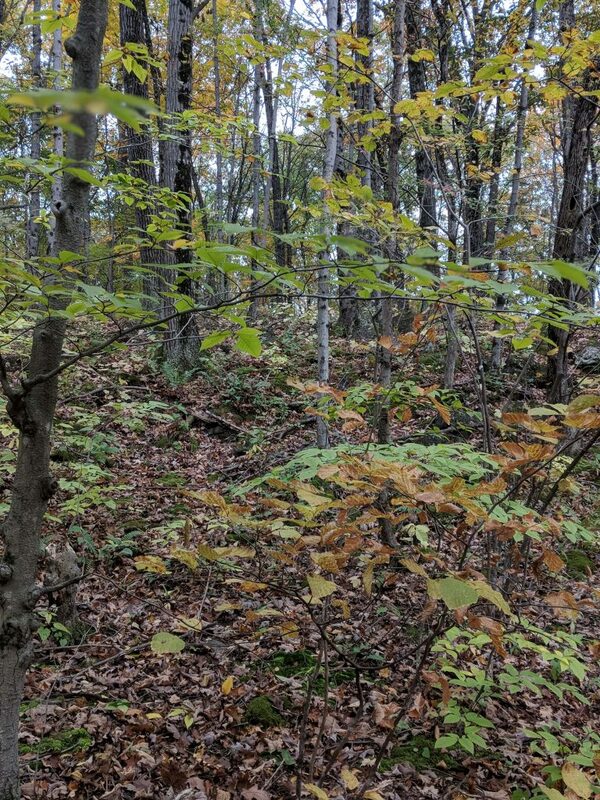 We hope that these concealment tips help you keep your camera safe and get even better pictures from the areas you are scouting. Do you have a favorite concealment method we missed and you’d like to share? Let us know in the comment section below.